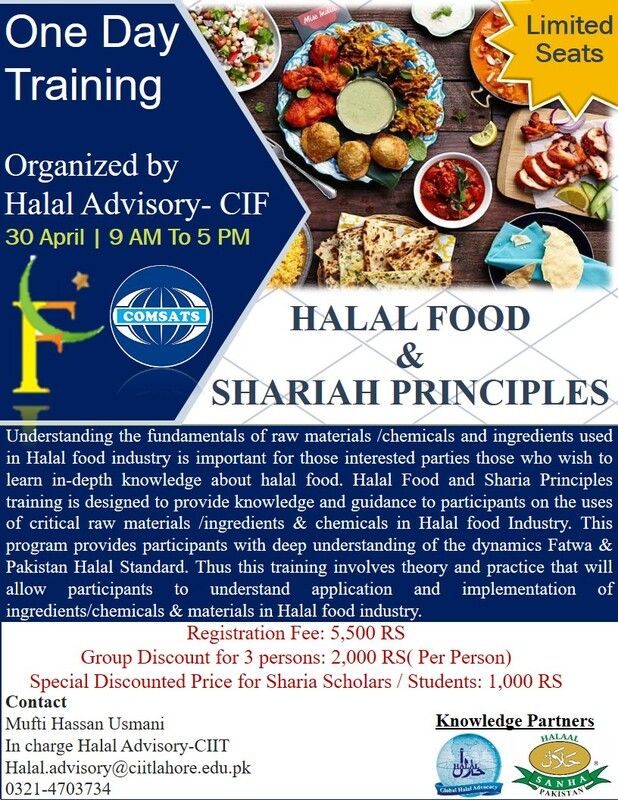 Halal Advisory is conducting a one day workshop on " Sharia Principles of Halal Food " This workshop is designed as a mean to elevate the quality of halal food and involves theory and practice that will allow the participants to understand application of ingredients/ chemicals & raw materials in Halal Food Industry. This program provides participants with deep understanding of the dynamics of Fatwa & Halal Food Standards. At the end of the workshop participants will be awarded a certificate.